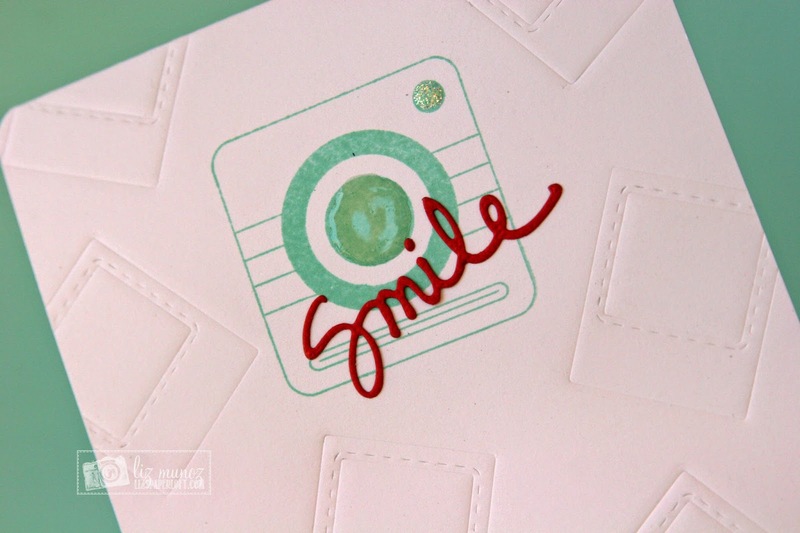 Liz's Paper Loft: MCT August Release Sneak Peek Day 3 ~ Smile! Happy Wednesday! Today is day 3 of My Creative Time's August Release, and we are more than half way through the sneaky peeks! I've been really enjoying this week and seeing what everyone on the team has made. I love that embossing effect!!! :) That rubber mat prevents it from cutting? What a cool technique! Thanks for sharing (I love getting ideas & learning new things)! Love the fact you embossed very cute! What a FUN card!! Love how you created the embossed background! I've never used that rubber mat with my cutting machine to emboss, but you've inspired me to get it out and give it a try. The effect is amazing. Very cute card! AWESOME!!!! Love the way you embossed the die to your card. AWESOME!!! Your one layer card turned out cool. I love the embossing. Love the one layer Liz! That background is AWESOME!! Beautiful, great embossing and so clean and simple, simply gorgeous. Great card. I love the way you embossed the Polaroid picture shape for the background. One more use for this versatile die! I have been looking for a camera die for some time. Thanks for the chance to win. I love your card, so clean and with an amazing focal point, is perfect! Liz your card is so cute. I love the dry embossing and the CAS look. 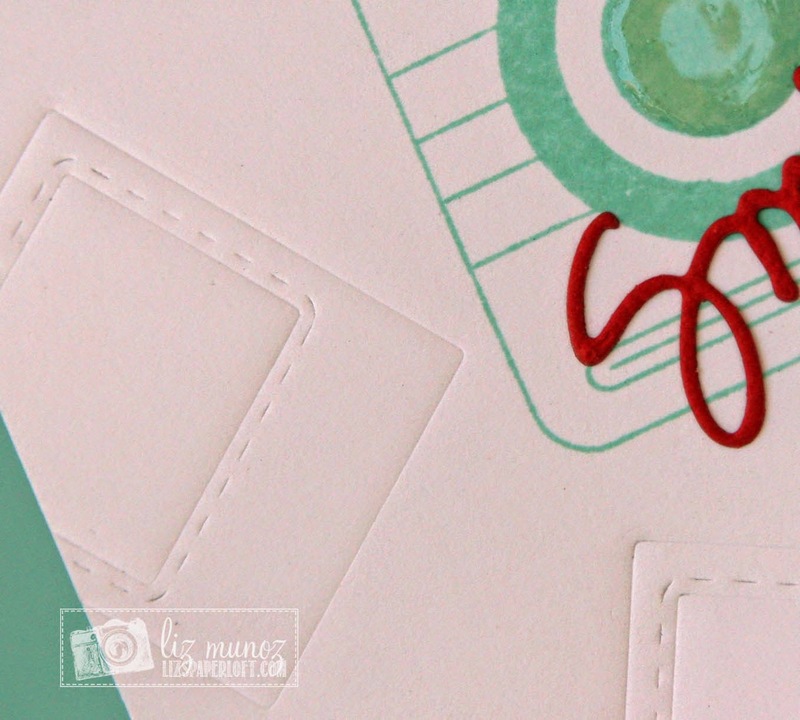 Your card is totally out of bounds and wicked awesome....OMG your embossing idea totally rocks!!! I love everything about your card just one super clever & creative card packed with lots of fun ways to use Miss Emma's awesome goodies. Very cute--I like the embossing. I would consider it a one layer too. 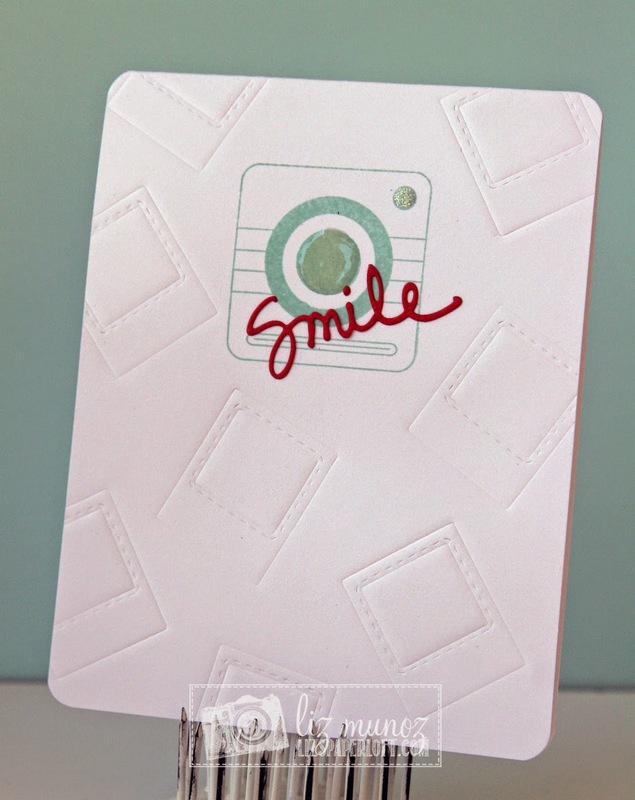 To emboss randomly the photo die is awesome and looks fabulous with the smile and camera. beautiful card Liz! LOVE the embossed background!!!! FANTASTIC idea to emboss the background! Love it! Plain and simple but very pretty. Too much is often "too much". Love the embossing! beautiful card! Beautiful card and I love how you did the embossing!! Hugs! !